NZ Rise is delighted that two of its members were awarded the top two awards at last night’s Excellence in IT Awards. 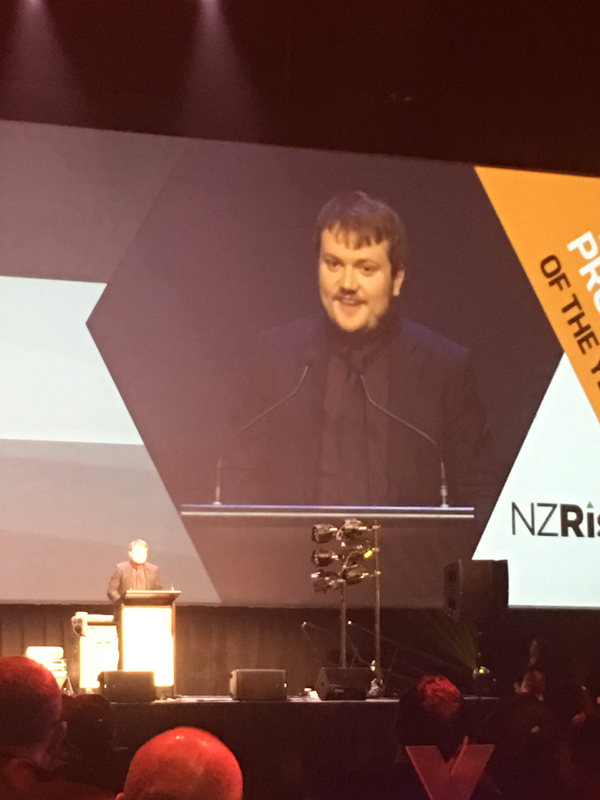 Hunchbuzz CTO Thomas Mitchell won Young IT Professional of the Year and NZ Rise co-chair Victoria MacLennan won the top award, IT Professional of the year. Victoria says she is humbled and honoured to have won, saying that her fellow nominees would have been equally deserving winners. “Michael Trengove from Code Club Aotearoa and Murray Wills from Maxsys both do incredible work. Both of them would have earned the award. “I’m absolutely delighted to have won. I hope that a woman winning the supreme award can encourage more women into the tech sector. We’re getting better but there’s still more room to improve,” said Ms MacLennan. Thomas was similarly modest in his win, something that the judges specifically cited as one of reasons he was chosen. “The tech sector in New Zealand has so much potential. It could be huge here and to be recognised as being part of that is such a wonderful privilege. Thomas Mitchell from Hunchbuzz: All the finalists were amazing, but the judges found Thomas’ can-do attitude and sense of social responsibility humbling for someone in their early 20s. Operating at the intersection of innovation and entrepreneurialism, Thomas is an inspiration. Victoria Maclennan from Optimal BI: The judges felt Victoria was the epitome of the technology advocate, working at all levels to elevate the development and use of technology in New Zealand. She walks the walk and yet remains incredibly humble throughout. 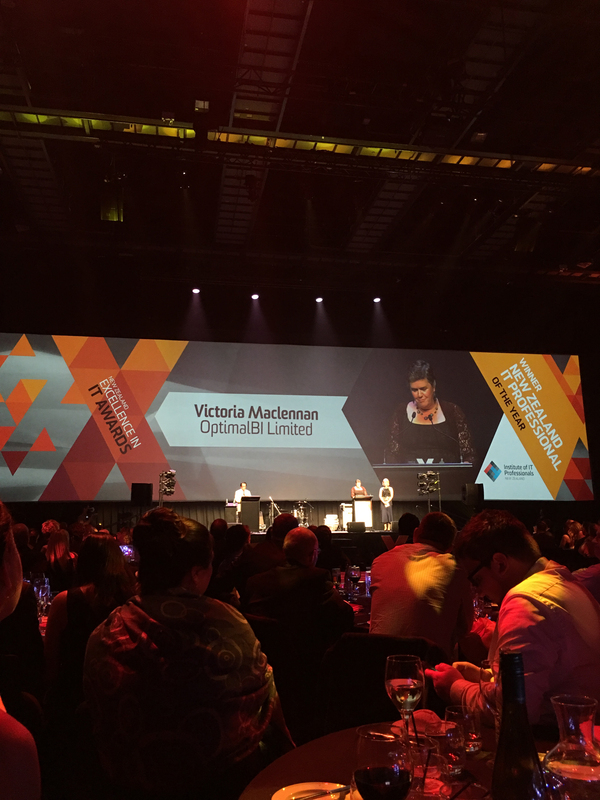 We’re very proud to recognise Victoria as the 2016 New Zealand IT Professional of the Year.